When restoration is the outcome of church discipline, then the guidelines from the church discipline document become a way of life that no longer require the monitoring of a church elder. 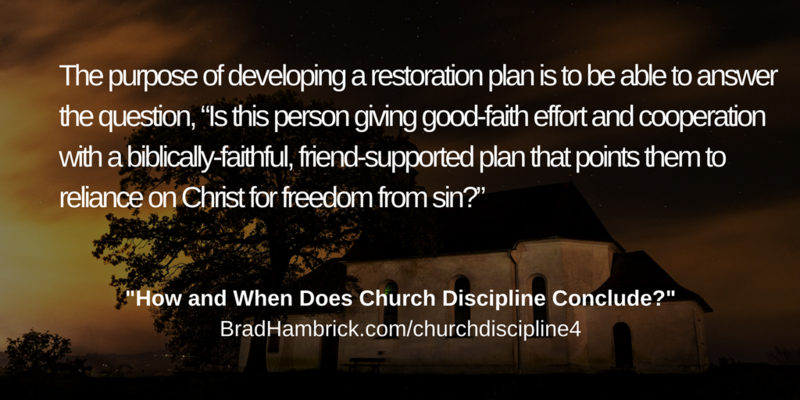 The restoration plan becomes a highly intentional discipleship plan. An indicator that restoration has adequately occurred is when the member is grateful for and desirous of the discipleship efforts of their church.